We’ve all been through it at one point or another: a bad choice, an incriminating photo thoughtlessly posted on social media, a lapse in judgment. We’re only human, so unfortunately it’s pretty much a given that at some point we are going to make mistakes from which our reputations will suffer. That means many setbacks, both personal and professional, but it’s certainly not the end of the world. I mean, just ask Bill Clinton, Martha Stewart, Britney Spears – the list goes on. So we know individuals can recover from scandal – but can an entire country reinvent its image? Travelers are flocking to Latin America’s newest tourist darling in droves, and it’s really no surprise. Coastline on both the Pacific and Caribbean, stunning colonial architecture, a vibrant and welcoming population, active volcanoes, a river that is seven (yes seven) colors, a burgeoning art scene, and did I mention Colombia is home to 10% of the planet’s biodiversity and makes up less than 1% of the landmass? Please excuse me while I book myself a flight. But rewind just ten, twenty years and the words associated with Colombia were a bit different. Guerilla warfare, drug cartels and murder were some of the more common ones. 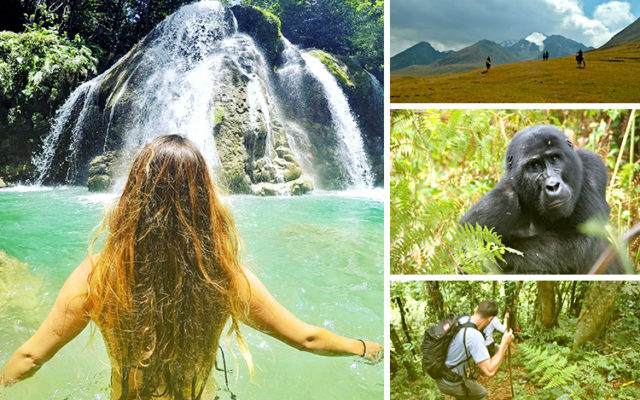 Even the most adventurous travelers omitted Colombia from their itineraries, and rightfully so. First there was FARC. The government of Colombia and FARC (Fuerzas Armadas Revolucionaires de Colombia – the Revolutionary Armed Forces of Colombia) have been engaged in a civil conflict since the 1960s – making it the longest war, well, in modern history. FARC is not a group you want to get mixed up with. They are infamous for funding their insurgence through kidnapping people for ransom, illegal mining and of course, the drug trade. Consequently, the government established notoriously brutal paramilitary groups in an effort to eradicate FARC. Nobody was more affected by the conflict than the average Colombian; upwards of 5 million residents were forced to flee their homes and more than 10% of the current population remains internally displaced. Over 200,000 people – mainly civilians – lost their lives. The United States, along with many other governments, classifies FARC as a terrorist organization. And as if an ongoing civil war wasn’t enough for one country to handle, this all coincided with the birth of some of the world’s most violent and sophisticated drug trafficking organizations. Does the name Pablo Escobar ring a bell? In a nation already weakened by war, the top drug organizations, including the Medellin and Cali cartels, were able to amass a considerable amount of wealth and power, in large part due to America’s growing appetite for cocaine. At one point they were bringing in more than $60 million per day. With FARC and the drug traffickers often combining forces, and politicians being assassinated left and right, Colombia was looking more and more like a failed state. Traveling overland outside of the capital, Bogota, was no longer safe, and those with the means to do so fled the country. So how did Colombia, in just a few years, reinvent itself to be a tourist hotspot with a growing middle class, complete the unofficial sign of a prosperous nation – a Starbucks? For decades the government in Bogota had been unsuccessfully trying to quash FARC through diplomacy. In 1998 President Andres Pastrana ceded 16,200 square miles to the group in an effort to set the grounds for peace talks. Many contend FARC viewed this as a sign of the government’s weakness, and their continued acts of violence led Pastrana to put an end to the peace talks and retake that area. It was during this time that FARC captured one its most high profile political prisoners, presidential candidate Ingrid Betancourt. After more than six years of imprisonment, Betancourt was freed by Colombian security forces. Her autobiography, Until Death Do Us Part: My Struggle to Reclaim Colombia, offers readers a unique insight into life under FARC. Fed up with the failing peace process and absence of a cease fire, Colombians united behind Alvaro Uribe, electing him with unprecedented support. Harvard educated Uribe was no stranger to the conflict engulfing his country – his father had been killed by guerillas and he himself had survived four assassination attempts. While many of his predecessors tried to use diplomacy to wipe out FARC, Uribe favored military might, tripling Colombia’s military budget, doubling the number of security personnel, and becoming one of the world’s largest recipients of US aid. He also cracked down on coca production, cutting off one of FARC’s main sources of funding. Through his no-nonsense approach he has managed to greatly improve safety and security throughout Colombia. Even though FARC still exists, it’s been significantly weakened and relegated to remote corners of the country. While Uribe deserves much credit, he couldn’t have done it without the support of a nation united against a common enemy. Colombia should give us all some hope that the Somalias and Syrias of the world can one day too undergo a transformative renaissance. Do you have two left feet? Absolutely no rhythm? Well guess what? Me too, and I didn’t let that stop me from dancing my way through Cali, also known as the world capital of salsa dancing (but uh, maybe don’t tell that to a Cuban). Of course, a couple of inexpensive lessons with the pros didn’t hurt either. Even if you absolutely refuse to dance, salsa is such an amazing form of human expression, it’s just fun to watch. Plus, for all of you fitness-minded folk, salsa dancing burns between 400-500 calories an hour! It seems kind of unfair Brazil gets all of the attention for their carnival celebration when the second largest celebration is in Colombia. The upside to that? A super authentic experience where you are sure to be one of just a handful of foreign tourists. 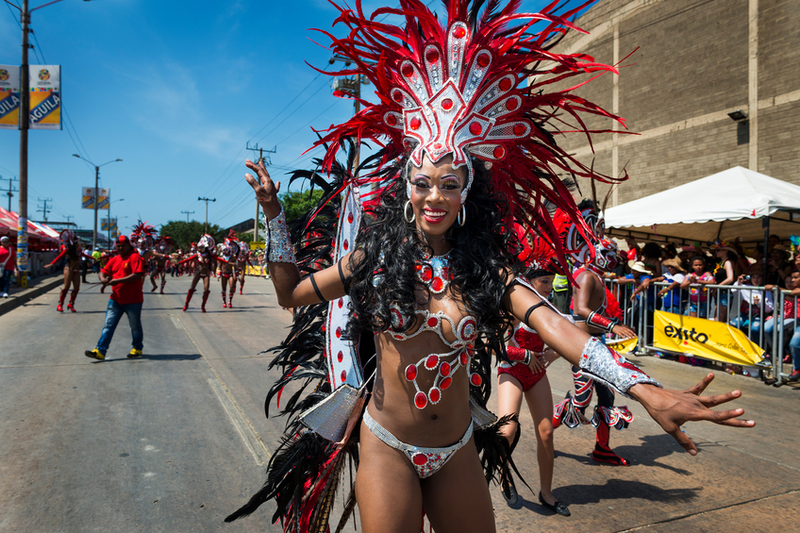 Every February Colombia’s coastal city of Barranquilla hosts the celebration and it’s got everything you’d expect to see in Rio: Massive parades? Check. Bikinis and face paint? Check. People throwing foam at each other? Yep, that’s there too. 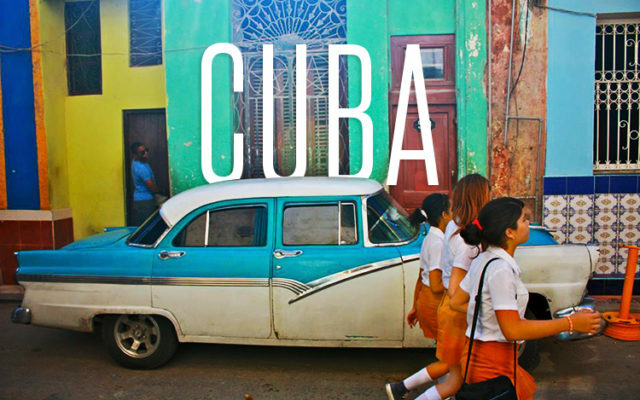 Plus, massive concerts, around the clock partying and plenty of free flowing aguardiente, the booze of choice in the region. I mean, do I really even need to say more than that? Camping on the beach in a national park is never not amazing, but in the case that you need a bit more convincing, I’ll continue. 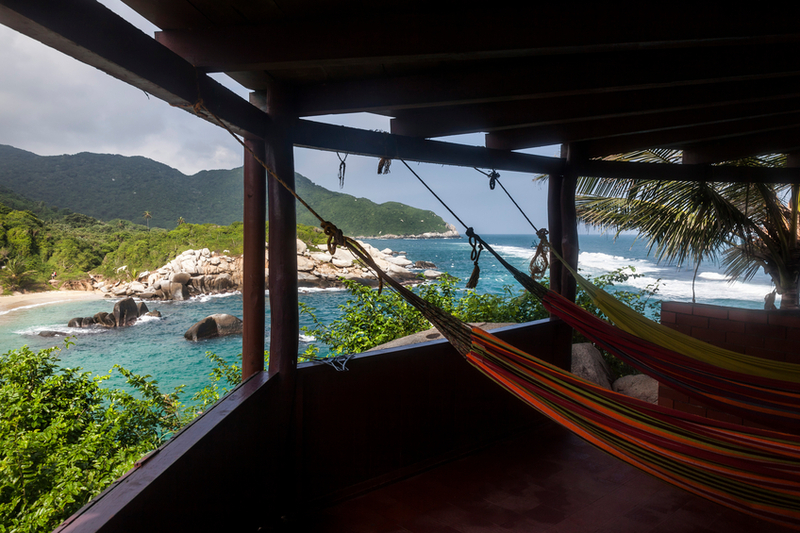 Tayrona National Park is located right on the bluest of blue waters of the Caribbean. Hike, or as I did, go by horseback to one of the numerous seaside campsites and rent a tent or hammock for a couple bucks and sit back and take in just how good life is. When I ask serious traveler types what their favorite city is, Medellin is a pretty common response. It’s the kind of place people set out to visit for a couple days and end up staying for a couple months, so consider yourself warned. 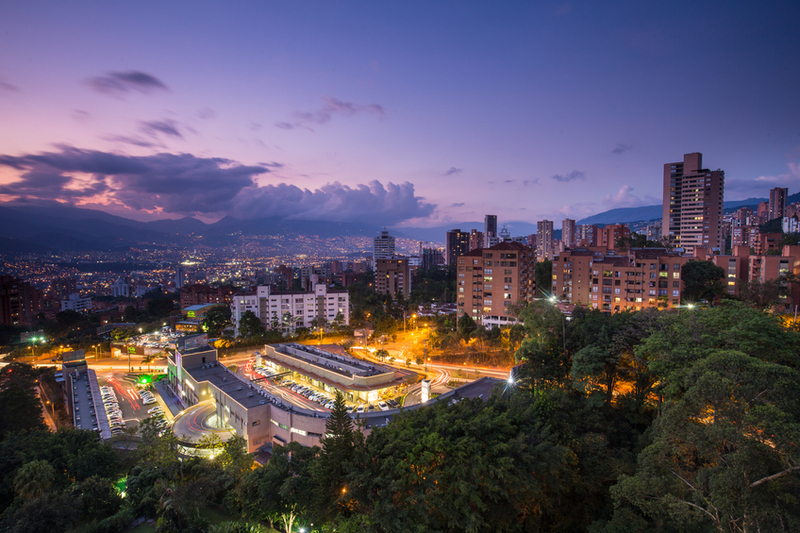 It’s pretty easy to see why Medellin is so popular – it’s temperate, beautiful, cosmopolitan and surrounded by mountains. And it probably doesn’t hurt that the nightlife is really, really good. Plus there is the Pablo Escobar factor, since he was born there and all. Sure, Escobar was a brutal drug kingpin, but he’s also undeniably fascinating, and going on a Pablo Escobar tour is a pretty cool way to spend a day. Tip: before you visit, watch Netflix’s historically accurate – and very good – series Narcos, which chronicles Pablo’s rise and fall. Still not convinced you want to visit the new and improved (and highly reputable!) Colombia? 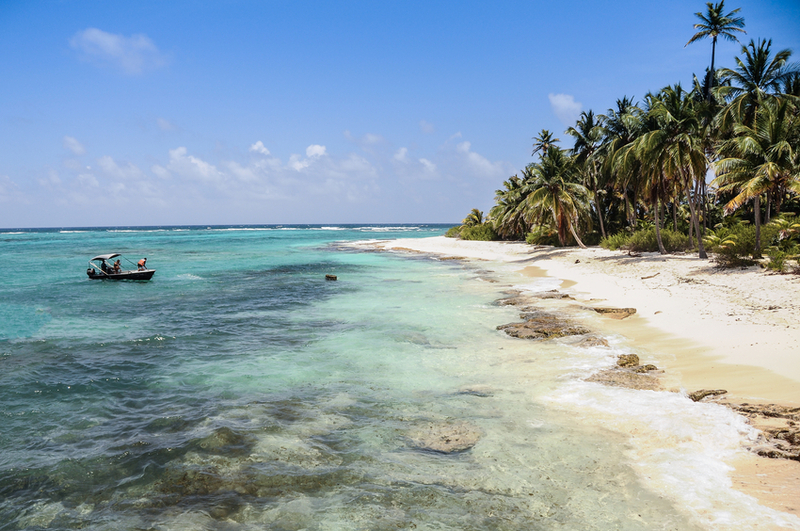 I know vacation time in the US can be a bit hard to come by, but that’s no reason to shun Latin America’s most up and coming destination. What if I told you the vibrant coastal city of Cartagena, famous for its brightly colored buildings, is a mere 1000 miles from Florida? Or that the flight time from New York City to Bogota is less than that of New York City to Los Angeles? 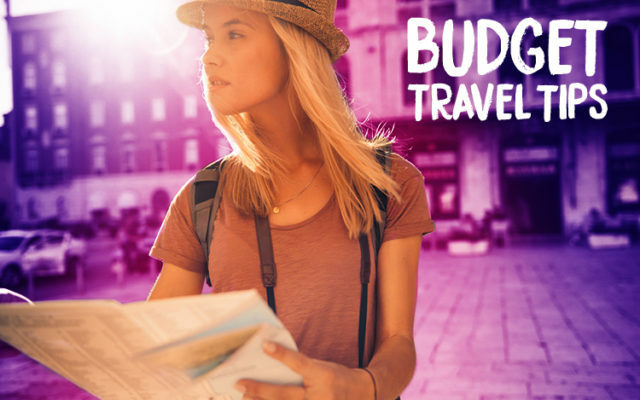 Booked in advance (I just did a search for September on my favorite booking site) one can find round-trip flights out of Los Angeles for $350, New York City for $300 and Miami for $175. So now you have no excuses – go! 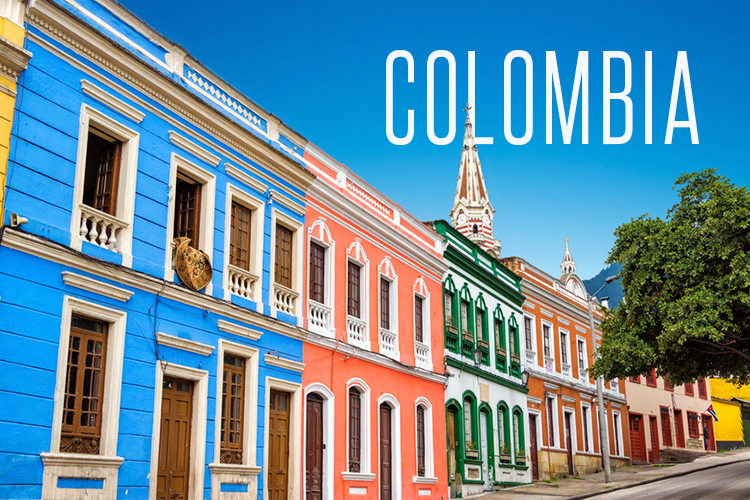 Enjoy everything Colombia has to offer and share your experience in the comments below! Written by: Danielle Hyams on July 5, 2016. Last revised by: Levi HarrisJanuary 18, 2018. Danielle is a professional wanderer & wannabe photographer. You can usually find her stuffing herself at food markets, befriending random locals, & blogging about it all for The Roaming Coconuts (http://theroamingcoconuts.com). She is currently in between travels and is working in NYC. I’m really surprised you are an amazing women and you know to much about colombia! One place that I recommend to anybody is going to visit Colombia is caño cristales, it’s the river of five color is incredibly wonderful!